There's no doubt that Los Angeles is one of the most popular destinations in the United States. Why? For the same reason that more than 3.8 million people call it home: there's so much to do, so much to see and even more to eat! If it's your first time in Los Angeles, you can't go wrong with a visit to the Griffith Observatory. A short drive up through the Los Feliz neighborhood and past the Greek Theater brings you to the popular spot. Parking is free but can fill up quickly so keep an eye out for open spaces along the way. Adjacent to the parking lot are well-kept public facilities, which are shared with the many hikers from the Hollywood Hills trail (the entrance to the hike starts on the far end of the parking lot). On a clear day you can see the entire Los Angeles country area - with Santa Monica and parts of the South Bay to the west, Hollywood and Mid City directly in front, Downtown LA rising in the distance, and East Los Angeles in the beyond. While you're likely to get a nice view no matter what time of day you visit the Observatory, mid-day and sunset are especially great. Los Angeles also has intense air pollution and smog, so don't forget to check the visibility before you go - the skies are always clearest after the city gets some rain. Following a visit to the Observatory, its a hop and skip to Hollywood. Or get back on the freeway and head downtown for brunch! Perch LA and Bottega Louie are popular spots in the area. If there's time, head over to the rooftop of the Standard for post-brunch drinks or pay a visit to the Walt Disney Concert Hall. Sticking out like a sore thumb in the middle of a relatively desolate area of downtown, the home of the LA Philharmonic also houses a small oasis open to the public. If you're looking to spend some time at the beach (and if you've come all the way to Southern California, how can you not? ), there's no shortage of spots you can choose from. While Santa Monica tends to get the most tourists (thanks to the Santa Monica Pier and the neighboring Third Street Promenade), don't be afraid to drive a little further south (to Orange County) or north (to Malibu) for clearer water and less foot traffic. 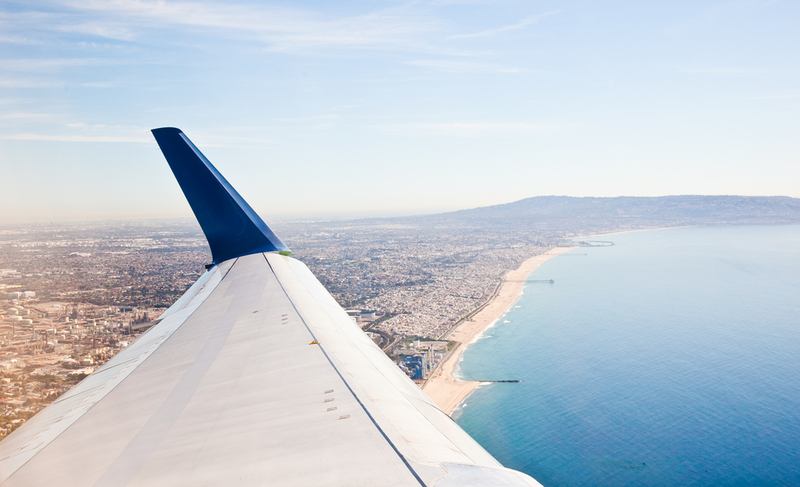 While leaving Los Angeles might not necessarily be part of your itinerary, don't forget to keep an eye out the window for a great view of the coast!